We're here to help entrepreneurs like you bring their dreams into reality. 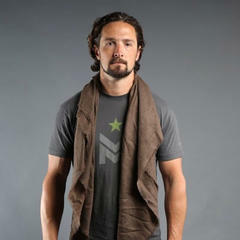 Ready to grow your t-shirt company into an empire? Close your eyes for a minute & envision where you want your t-shirt company to be in the next year. What about the next 5 years? In a decade? If you're just starting imagine being at $10k in sales right now. If you're doing $10k imagine what it will be like to be at $100k. If you're doing $100k, imagine $1,000,000. If you're doing $1M, imagine doing $10M. Whatever level you're at...you need tools for your next step. And How to Build a T-Shirt Empire: The Ultimate Guide to T-Shirt Success will be the most important tool in your arsenal. This book is brought to you by people who really know. Your new mentors. Dan Caldwell, Co-Founder of TapouT, and Andrea Lake, Founder of Delinquent (which owned sales rights for merchandise for Minecraft, World of Warcraft, Call of Duty, Walking Dead, etc.). Dan and Andrea have sold hundreds of millions of dollars of apparel & put their decades of mastery in the t-shirt industry into an amazing step-by-step guidebook. The likes of which have never been seen before. Their passion now..? Making sure it's an easier path for you than it was for them. Want to get your clothes on celebs..? Gone are the days of trial & error. Your new mentors will tell you the process. How to get your shirts to celebs in your space. What to have the celebs sign off on to use the images. And how to maximize those pics in social media. And that's just one thing in a book of hundreds of things that your new mentors can guide you through. This book is solid gold, with secrets and tricks for everything from negotiating with screen printers, to how to land your merchandise in stores, to getting your shirts featured on TV and in movies. This book is the industry's best kept secret & absolute required reading for anyone in the t-shirt business. BONUS: As if the book wasn't enough...get a 45 minute video of Dan & Andrea interviewing Matthew "Griff" Griffin, Co-Founder of Combat Flip Flops. Griff shares his super inspiring story. Going from a Special Forces Vet, to launching his company, going $40k in debt by making tons of mistakes, to getting on Shark Tank and securing a deal on with Daymond John, Lori Greiner AND Mark Cuban. YOUR time is NOW! 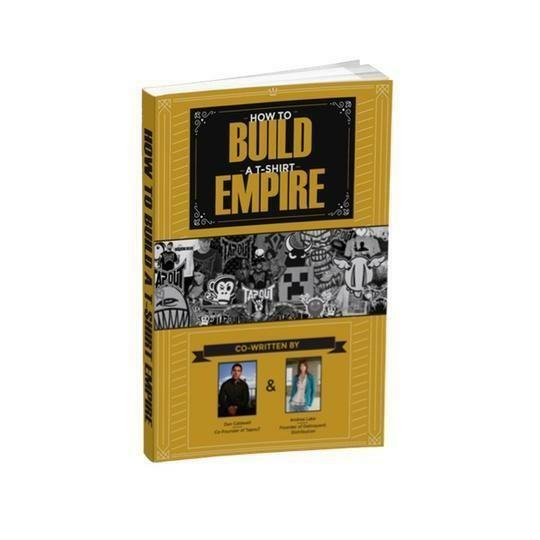 Click the Button Below to Order YOUR Copy of the How to Build Your T-Shirt Empire: The Ultimate Guide to T-Shirt Success for only $27. And gain *immediate access* to the 156 page e-book. YES!! I'm Ready to Take My T-Shirt Company to the Next Level! "In just *one* of the tips from this book, we increased our sales to stores by 25%. You would be crazy not to learn from successful people who have done exactly what you want to do."